Casey Irving is a Physiotherapist. 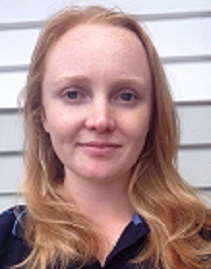 Casey has been a member of the Avondale Family Physio team since graduating from AUT with a BHSc (Physiotherapy) in 2016. She has a passion for helping people to achieve their goals in a supportive and patient centred environment. Casey has an extensive background in Gymnastics and has spent the last 8 years as a coach and judge. She looks forward to utilising her knowledge of body movement and biomechanics to enhance her physiotherapy practice. Casey is excited to be a part of the Avondale Family Physio team and enjoys working alongside her clients to facilitate rehabilitation and recovery in a friendly and supportive environment.